MANILA — “If we are to summarize the whole situation of Mindanao under Duterte this 2018, it would be ‘bakwit” (evacuate, evacuation, evacuees in English), Rius Valle, current spokesperson and volunteer teacher of the Save Our Schools Network- Mindanao said. 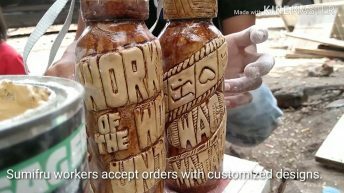 Starting August 31, about 70 Lumad students, parents, and volunteer teachers are currently being housed by the Baclaran Church as they install their bakwit school here in Metro Manila. Earlier this August 9, they were hosted by the Union Theological Seminary in Das Marinas, Cavite. “When we returned to Mindanao after our first bakwit school last December, cases of military threats, intimidation, and harassment among our ranks have intensified”, Valle shared. This year marks the second time for our Lumad brothers and sisters of mounting their so-called “Bakwit School” in Metro Manila. Last year, President Duterte on national television has threatened to bomb the Lumad alternative schools in Mindanao, following accusations that the students, their teachers and parents, were New People’s Army (NPA) guerrillas. At a crucial time when the president’s counter-insurgency program Oplan Kapayapaan has authorized the Armed Forces of the Philippines to kill, Duterte’s threats have strengthened the Lumad’s resistance. Before institutions and pop culture have coined this term as condescending and demeaning, ‘bakwit’ is an old word that’s been used since the Spanish-American colonization. The term was a Tagalog translation of the word “evacuate”, (‘bakwet”), which connoted the urgent transfer of residents from one place to a safer one, as they carry with them their emergency packs that would contain their clothes and other important things. 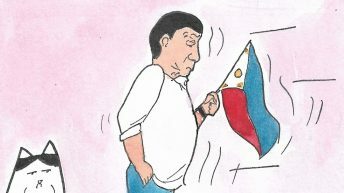 The long history of colonization in the country has turned the ‘bakwit’ into a phenomenon of fearless roving- it is when a peaceful community suddenly dares to leave the comforts of their now-conflicted homeland, to fight for their life and identity. 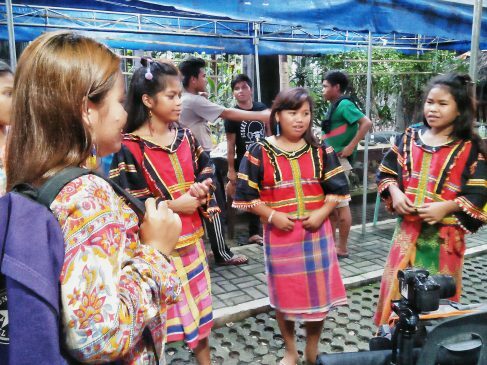 For the Lumad students and teachers, the journey from their highly-militarized ancestral lands to the concrete jungles of Metro Manila was painstaking, to say the least. The ongoing aerial bombings, forcible closing down of their schools, and killings among their community leaders have left them with no other option but to take their long-time struggle closer to the national arena. “Our bakwit schools were built as an answer to Duterte’s threat of bombing our alternative schools in Mindanao. Despite the Lumad’s efforts to build their own schools, the government and its armed forces have been persistent in tagging these as ‘terrorist schools’ and ‘schools of the NPA’”, Valle added. 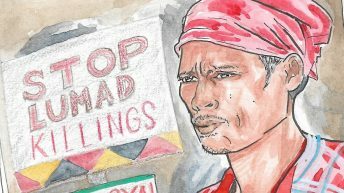 Save Our Schools (SOS) Network has recorded four common trends of militarization in Lumad communities – forcible closure of schools, forced and faked surrenders, trumped-up charges, and forced evacuations. 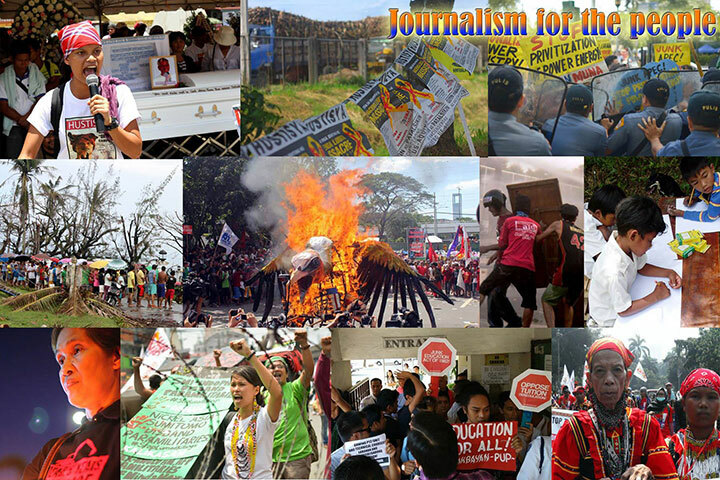 According to Valle, the network has accounted 57 forcibly closed Lumad schools, affecting 2,000 Lumad students. Almost 2,400 residents, civilians, parents, and farmers, including the Moro, were coerced to surrender as NPA guerrillas. In relation to the Lumad in Mindanao, about 300 volunteer teachers and community leaders were filed with trumped-up charges such as grave coercion, serious illegal detention, public disorder, alarm and scandal. 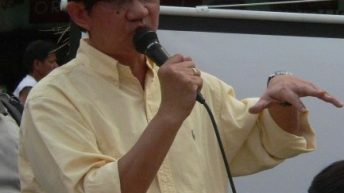 “I am one of the nine volunteer teachers, mostly from the Socksargen region, who received a subpoena for these trumped-up charges”, Valle said. This year, SOS has also recorded 5,000 victims of forced evacuations in Mindanao. This is still excluding the cases of bakwits among the ranks of the Moro people due to the Marawi siege. Unlike the typical Filipino students in a classroom set-up, the Lumad students’ methods of learnings highly depend on their immediate needs. The principle behind the establishment of the alternative schools in their communities is not just to cater to their everyday needs but also to equip them with the basic skills of reading and writing so that they can protect themselves. The Lumad children have known how the state forces such as the government and the military, have abused their inability to read and write to further manipulate them. “They are burning the schools that we’ve worked so hard to build because they do not want us to learn how to read and write. 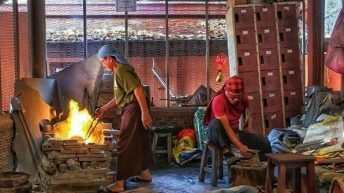 They want to continue to pacify us, inflict passivity unto us, and eventually use these to kill us”, Manilyn Gatangan, a grade-10 student of the Community Technical College of South Eastern Mindanao said. Manilyn recalled how her parents and teachers were red-tagged and accused of terrorism by the AFP troops. She might seem uninformed in terms of technical skills such as reading and writing, but she is very well-versed with the narratives of the struggles fought by her ancestors. “My father could not come with us here. He is stuck in our municipality and he was issued an arrest warrant, accusing him of killing the marines. They said he and my teacher Juliet, one of our volunteer teachers, were responsible for killing a dozen of their marine forces. How could a simple Lumad and a volunteer teacher do that?”, Manilyn said. Julieta, Manilyn’s teacher in their alternative school, has been imprisoned for seven months now. She was also filed with series of charges relating to rebellion. “Our teachers here are brave and selfless. Despite the very low allowance that couldn’t even suffice for themselves, they have chosen to teach in our schools. They are of big help in honing us to more literate and exercise our communication skills”, Manilyn shared. 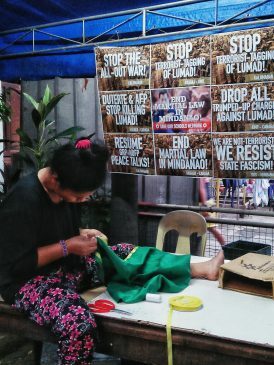 Manilyn’s family and other members of their Lumad community have been seeking aid from the local government, especially with their issues on land dispute, large mining companies’ plunder of their resources, and lack of basic needs such as electricity. Years have passed, still without action. “The whole country is kept ignorant of our plight. 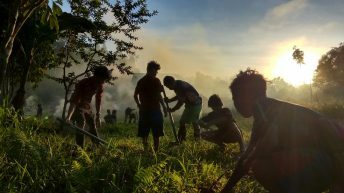 The national news could report about missing dogs and the lavish lifestyle of politicians and artists, but they could not deliver our years-long struggles in the countryside”, Manilyn said. Despite the ongoing Martial Law in Mindanao, the Lumad children still managed to teach their fellow youth a lesson. Their decisiveness to be active in the struggle at a young age has now become their obligation. They continue to prove that there is no fear nor second-guessing when it is your life that is at stake. The installation of their Bakwit schools in Baclaran and in Cebu are manifestations of how much they want to garner the widest solidarity for their calls. Because the government falls blind to their demands, they created means to resound them. “It is my first time to be here in Manila, and everything in here is met with a price tag. One could barely survive here without money in his pocket. In the mountains, everything is free–from our food, to our shelter, and even our schools. But they bomb our communities, and they kill our members. We are left with no other choice but to fight for our land. Without it, we are nothing”, Manilyn ended. Thank you very much for this report. Sad to read, but well-written and very informative.